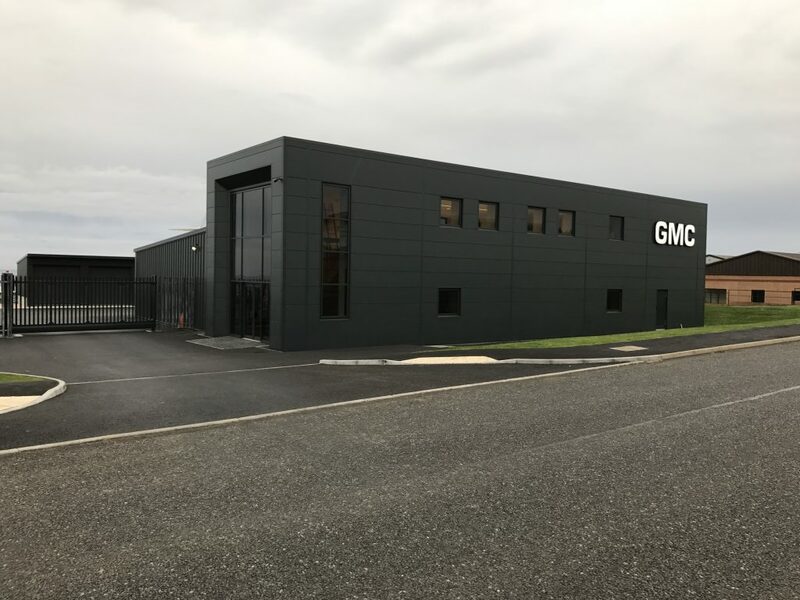 During December 2017 GMC moved the operational side of business up to the new facility GMC-HQ. It brings a year long project on site complete and the biggest re-investment in the company since 1983 when the previous workshop was completed. The new site brings together all of GMC operations to one location stream lining over heads and improving our production capacity and quality with room to expand. 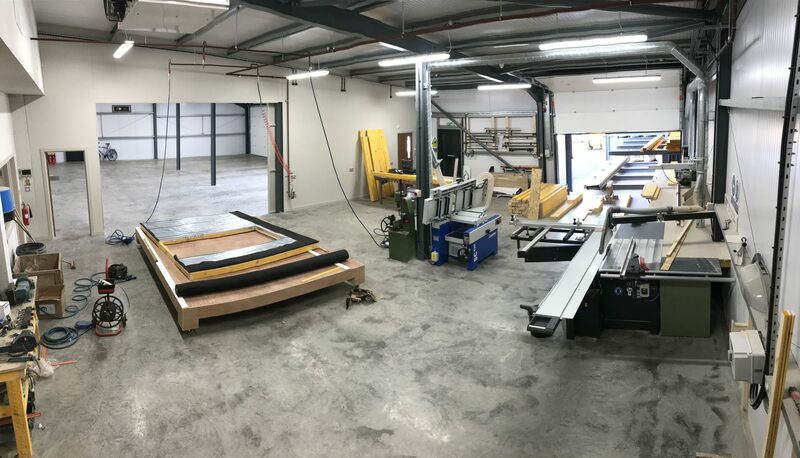 The Joiners workshop has been fully updated with investment in new machinery & logistics plant part funded with a Grant from ‘LEADER’ (a source of European funding for small rural business). The manufacturing facility is like nothing else in the area, perfect conditions for manufacturing with low tolerances. Design led improvements to manufacturing economies of scale resulting in a better product with reduced costs to the end user. The offices & public area are where had some fun with the project to show clients and visitors what we can do and introduce new ideas where we have taken inspiration from. 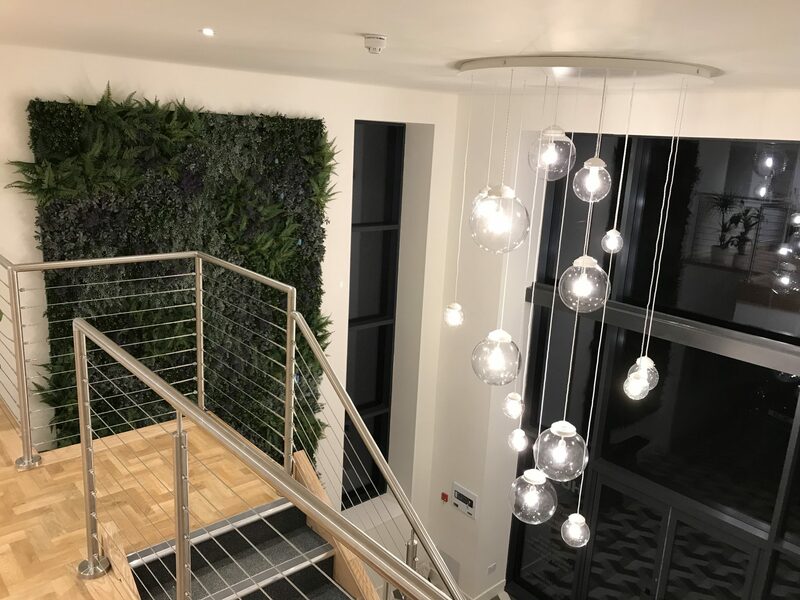 The entrance foyer is a full height amazing open space featuring a green wall & bespoke light fitting with a 3D floor covering! The stair case, manufactured in house floats aside the mezzanine. The furniture itself has been manufactured in the new facility! The facility is powered by a 15Kw Solar Edge Solar PV system which on average generates twice as much power as is consumed on site with the surplus feeding back to the grid (this can be viewed online here). Heating & hot water is provided by 8kw Mitshibushi Air Source Heat Pump. 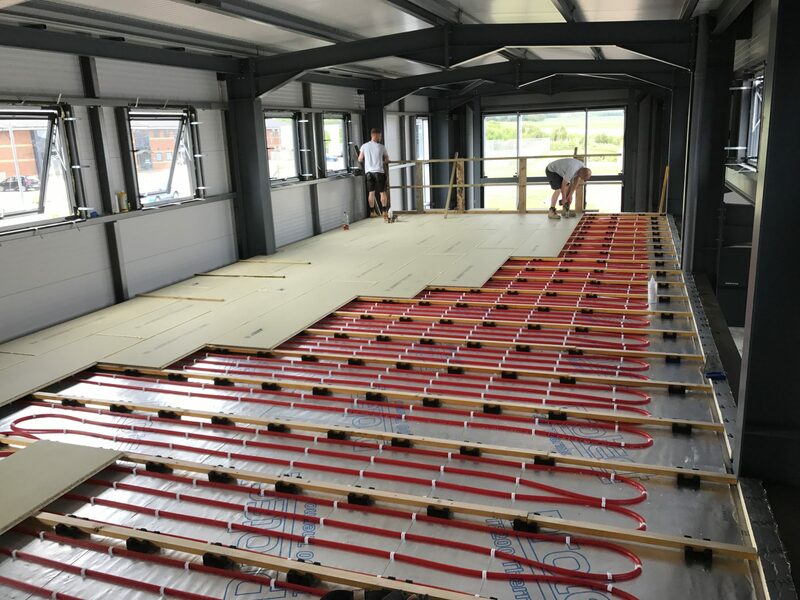 This is connected to under floor heating network for heating in office & public areas.